♥ ABOUT A mysterious criminal steals a secret state-of-the-art time machine, intent on destroying America as we know it by changing the past. Our only hope is an unexpected team: a scientist, a soldier and a history professor, who must use the machine’s prototype to travel back in time to critical events. While they must make every effort not to affect the past themselves, they must also stay one step ahead of this dangerous fugitive. But can this handpicked team uncover the mystery behind it all and end his destruction before it’s too late? 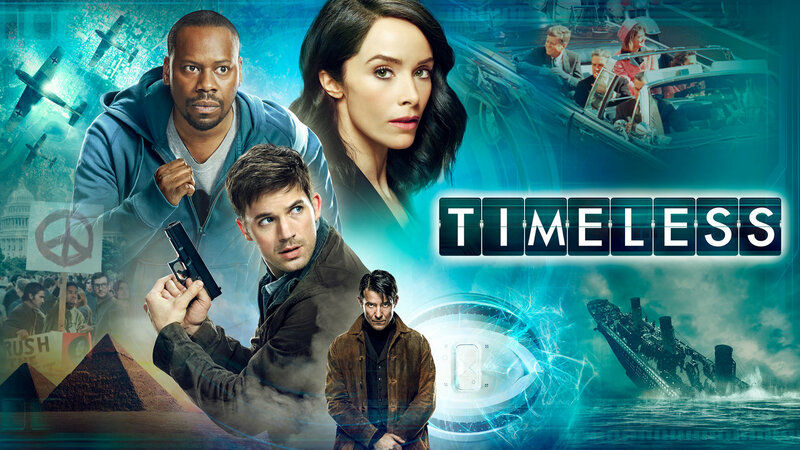 ⇒ Episode 1 “Pilot” When one of the world’s most dangerous fugitives steals a state-of-the-art time machine, the U.S. government asks a history professor, Lucy Preston, a soldier, Wyatt Logan, and a scientist, Rufus Carlin, to embark on the adventure of a lifetime and chase the criminal mastermind, Garcia Flynn, to the Hindenburg disaster of 1937. While there, Lucy, Wyatt, and Rufus each have to draw on expertise to save the present and protect the past – possibly at great personal cost. Goran Visnjic as Garcia Flynn, a master criminal who steals a time machine with the intention of changing American history.